85 out of 100. Incorporating 70+ ratings and reviews. The major point of difference between Ovation and most other guitar manufacturers is their use of Lyrachord instead of wood for the body of their guitars - the bodies are also shaped like a bowl. Lyrachord is a proprietary material created by Ovation which uses glass fibers and resin a bit like fiberglass but with properties that seem to work quite well tonally as a replacement for wood. 'Great guitar for the money' or words to that effect are very common in customer reviews about the Applause Balladeer AB24. This guitar also received numerous compliments for the build quality and robustness. There were no consistently reported negatives in customer reviews - just a very small number of complaints about shipping issues from some online retailers.. 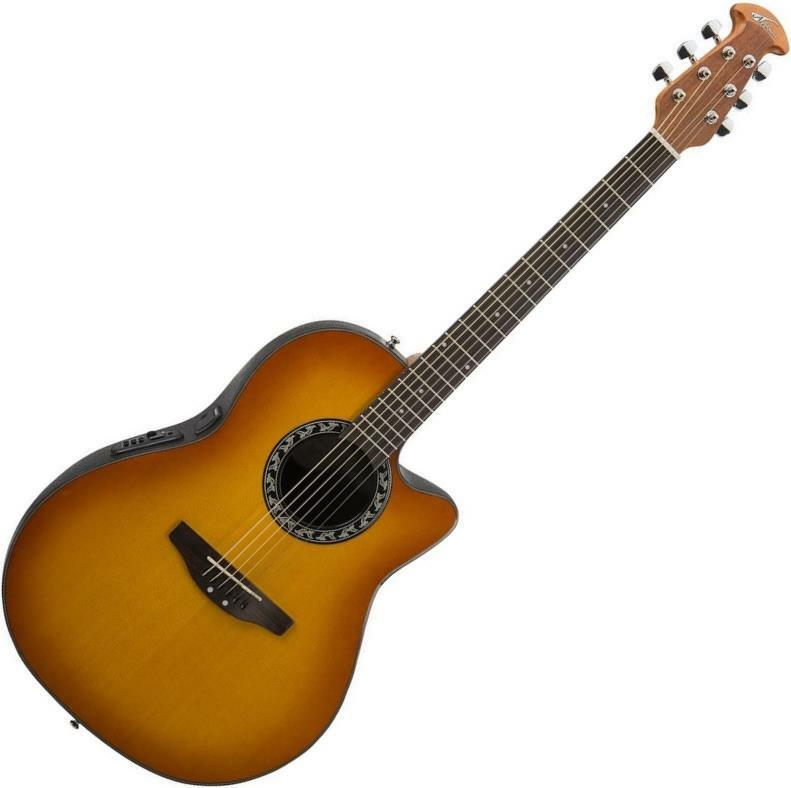 If you want a budget acoustic-electric that you don't have to worry about, can throw on the lounge or take camping, then this is a great option.